Laura Demasi outlines why marketers need to rewrite the rulebook for how they understand consumers based on age and generation. the life stages are either no longer relevant or ‘delayed;’ millennials are either shunning or delaying the traditional markers of adulthood, and midlife now extends well into the 50s. The 60s are now more like a throwback to the carefree 20s than a time for winding down, while ‘old age’ doesn’t really begin till the mid 80s. The implications of this overhaul of the very notion of age, life-stage and even ageing present enormous challenges. Getting the value proposition and the tone of your brand nuanced just right is more difficult than ever. If you are off, customers will dismiss you as irrelevant because you aren’t in tune with the new reality of their lives. Millennials, we already know, are leading the pack when it comes to re-writing the rules on life stage. They are very consciously reinventing the guidebook on a ‘good’ life amid a backdrop of downward social mobility. A steady job, home ownership and long-term financial security are becoming less relevant, viewed as the ‘old’ measures of a successful life, replaced by ‘being happy,’ ‘feeling fulfilled’ and collecting ‘experiences’ rather than stuff. But millennials aren’t the only cohort whose life trajectory is ‘delayed’. 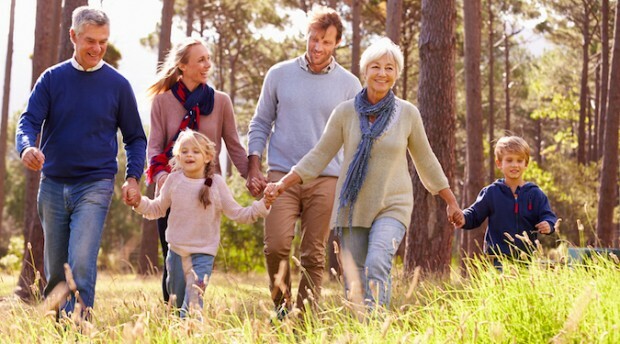 Today’s 50-something is more likely to be in the throes of ‘mid life’ and ‘peak stress’ rather than starting to think about winding down and preparing for retirement as their parents’ generation were likely doing at this stage of life. Half of those aged 50-59 in Australia still have children living at home: one-in-five have children under 18 years living at home, while close to one-in-10 have children under 12 years of age. Meanwhile many others still have ‘older’ children under the family roof; 28% have 18-24 year-olds at home and 11% have 25-29 year-olds at home. By the 60s everything changes again – but not according to the traditional ‘script’ of life at this stage. The 60s are no longer about retreating from life and the beginning of ‘the end’. Now, life in this decade is pulsing with excitement and heralds the beginning of a ‘second act’ which is all about personal fulfilment, expansion, growth and learning. Life is getting bigger, not smaller – and this continues well into the 70s. It’s not until the 80s that ‘old’ becomes real and even then, if your health is good, the drive to engage with the world is stronger, not weaker. The time has come for marketers too to re-write their scripts for how they understand consumers. Rule re-write number one: Assumptions about life stage and age should be checked at the door.